Jojoba oil (pronounced ho-ho-ba), is a naturally golden coloured oil that has many benefits for our skin. It is actually a liquid wax, not an oil that comes from the seed of the Simmondsia chinensis (jojoba) plant, a shrub that is native to south western part of the States. Native American women extracted the oil from the jojoba seeds using it for many varying forms of treatments including cuts and bruises. Due to our arid land in Australia, the jojoba bush grows beautifully here. While whale oil was once used widely in cosmetic preparations, seeking alternative solutions is where the jojoba story began. It now thankfully has taken its place, a beautifully versatile vegan replacement. Jojoba-Do I Use It On Oily Skin or Dry Skin? The answer is a resounding yes to both! Jojoba nourishes, soothes and deeply moisturises. 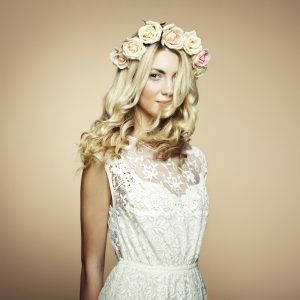 Our skin is made up of natural sebum with an almost identical chemical structure to jojoba. This means jojoba actually mimics the sebum. Using an “oil” on excessively oily skin might seem counter-intuitive, however, a few drops of jojoba persuades the skin to cease excessive sebum production for those of you with oily skin, normalising the skin’s natural production of oil. 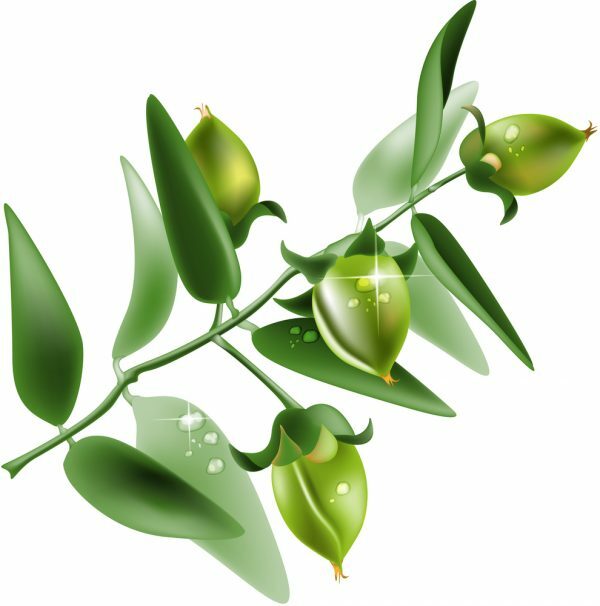 Jojoba, therefore, gets the nod as a non-comedogenic (non-pore clogging) moisturiser, modulating oil production. For those of you with dry skin, it locks in moisture to keep skin looking healthy and hydrated. As we age this sebum production begins to decrease, meaning fine lines, dry skin and sagging starts to occur, so jojoba can be used as a preventative for dry and ageing skin. Naturally rich in the powerful antioxidant Vitamins A, D and E, this gentle oil works to regenerate skin cells. It also contains a very high percentage of the anti-bacterial mineral iodine and the essential fatty acids Omega 6 and 9 that work to repair damaged skin cells. The high anti-oxidant content combined with the fatty acids makes it a great product to fight premature ageing, brightening dull skin, rejuvenating and regenerating. The anti-bacterial and anti-inflammatory properties of Jojoba help soothe irritated skin, helping in controlling acne. Jojoba Oil is a gentle, fragrance free and hypo-allergenic natural skincare ingredient making it perfect for basically every skin type; it balances oily skin, soothes sensitive skin, hydrates dry skin and helps heal acne and breakouts. Due to the fact that jojoba is so similar to our skin’s natural oils, our pores allow it to sink deep through the top layer of our skin, enhancing regeneration and rejuvenation. It’s no wonder why Jojoba is found in nearly every organic skincare product. Try applying a few drops of oil after a bath or shower while the skin is still wet. Soaps and most other skin cleaning agents strip the skin of the sebum that we produce to lubricate the skin and protect it from drying out. Every time we wash, even with water, we’re removing a protective layer of sebum. The cold dry air in winter and air-conditioned interiors dry out our skin at a faster rate than our skin glands replenish the oil supply. Dehydrated skin is vulnerable to irritants that cause dermatitis and germs that are constantly looking for entry points into the skin. Keeping your skin hydrated by locking in the moisture and protecting it from the drying effects of the environment constitute basic skin care. Jojoba has also been found to be useful for those who are balding as it encourages hair regrowth. Jojoba is also commonly used to also treat psoriasis and sunburn, and prevent razor burn. As it is an emollient (keeps skin moist and reduces water loss), it is often used as a carrier oil for essential oil uses, such as ingredients in skin and hair products, but it’s actually an effective skin moisturizer and healer on its own. One of my favourite uses is for makeup removal and as a lip balm. Speeds wound closures and stimulates collagen synthesis. Do make sure it’s 100 percent jojoba oil and there aren’t any additives that may irritate your skin and just remember, a little does go a long way! 10 Side Effects Of Laser Tattoo Removal – What You Should Know 10 Celebrity Tattoo Removals & Cover Ups Revealed!